Discussion in 'Mice and Keyboards' started by M76, Jan 23, 2019. Since my trusty GigaByte Aivia M8600 finally gave out completely I had to get a new mouse. I choose this because I had a few prerequisites. It had to be wireless, I hate it when the cable works against me. And it had to have on the fly dpi adjustment. Apart from that all bets were off. At work I've been using a Performance MX for many years and it's a very high quality mouse, that served me well, so I choose Logitech this time. The GigaByte was more of an impulse purchase for me, but it turned out pretty good. But it slowly deteriorated. It came with two replaceable batteries which was great because I could continue playing when one drained. Unfortunately one of the batteries died soon after the warranty period ended. And it wasn't as much fun with a single battery. But then it got worse, as the mouse decided to not work wireless at all about 6 months ago. So I've been using it wired since. It came down to a head to head between the G903 and the G PRO, and the deciding factor in the end was size. I don't know why logitech makes such small mice, the G903 is by far their largest but even this is thinner than what I'd like, at least it's long enough, because that was the real problem, I absolutely loath mice that don't fill my palm. It feels like I'm pinching something tiny. It comes in an expensive looking box, which I'm not a fan of, they could've probably shaved 10% off the absurd price by putting it in a regular plain box. They also made sure that the fancy box cannot be re-purposed for anything useful because it opens almost at the bottom. Waste of money that is. The mouse itself feels like it's made out of the cheapest plastic possible. Probably to save weight, but still at this price point I expected something rugged like the MX, not a flimsy piece of cheap plastic. And it is light, very light indeed. So far I'm not sure if that's a pro or a con. But they did include a weight plate I can install if it is too light. So that's definitely a pro. It only comes with a single cable, again at this price they could've included two separate cables one for charging and one for the wireless transmitter. So you don't have to unplug the transmitter if you want to charge. The aivia not just came with two batteries, it came with a carry bag, docking charger, and two sets of cables, and it cost less than this. Since I'm cheap I didn't order a powerplay mat for it, maybe later if the charging becomes an annoyance. But then again I use my mouse in a very small space I doubt their large mat would fit. Of course the real test will be gaming, but the control and response already feels great. I also "calibrated" my desk surface, IDK if it's snake oil, or actually matters. The mouse wheel also feels flimsy again probably due weight saving. And the locked mode feels a bit tight to my taste, I hope the resistance will become lighter after some usage. Free wheel mode is useful for productivity on the other hand so glad to have that. I'll check back after breaking it in, possibly. I love mine and I have the Powerplay mat. It's definitely not a value product, it's the highest end and you pay for it. It's the current best mouse in my opinion, but they can still improve it. Armenius and dvsman like this. Thanks for writing this up M76. I was/am curious about this mouse. I have the non-powerplay version, and sweet jesus is it an accurate and predictable mouse. The battery lasts for days, so I don't think I need an upgrade. I would agree with your overarching point that I think they cut a few corners in areas just to make the minimum weight lower. I'd happily have a slightly heavier mouse if (for example) the mouse wheel didn't rattle when you move it quickly. It's not a big deal, but I paid a stack o cash for this. If your experience with the 903 is similar to mine with the 900, you'll love the operation of the thing in real usage. They really did absolutely NAIL the wireless operation. It's indistinguishable from any wired mouse in my experience. I lent it to my semi-pro son for a while and he could not tell any responsiveness difference from his wired mouse (g502). I of course took it back, because I paid for everything. I upgraded from the 900 to the 903. They're the same except for the powerplay capability. The powerplay receiver (which is removable) adds a little weight. The mouse wheel should not rattle unless you have it toggled to free spin. I have the 903 with a powermat and it's great not having to worry about charging it. I definitely agree on the weight though, it's a little too light for me too. On my laptop / away setup, I use a Corsair M65 with all weights installed and for me that's about perfect. If Logitech just bumped up the "feel" of the plastics and added a little bit more heft, that would give it a more premium feel for sure. But if you can set that aside, it really does work great and the high DPI really helps when using a 3 screen setup like I do and you have to scroll all the way across all the screens. I'm cool with the shape - I'm more of a "claw gripper" so whether it works or not really is a YMMV kinda thing. Agreed, I keep looking for an improvement over the G502 and cannot find one. I got the G900 a while back. I don't care for styling, but I've been very happy with it as a mouse. I liked it enough that I upgraded to the G903 w/ the PowerPad a few months ago. I absolutely love a wireless mouse that charges as I use it. Logitech has nothing on their mice of ten years ago sadly. Had an mx master button die in Under two years And lot of wear and tear on thumb click. Was a battle to get anywhere with CS as well. I've had budget Dell and intellipoints last 5 years.. So why does a mouse that cost 3x as much wear out so quick. I dontneven game much anymore. Got a Kensington trackball and that has a 3 year warranty so I don't have to go the consumer law approach for support. Will do a write-up on the track ball migration in a few months. Lets just say I will not be going back to mice any time soon. First off, just want to say that it is probably hard to find many mice out there which are directly comparable to the 903 for its gaming, wireless, and weight options. 1) Most mice these days are made out of pretty cheap plastic. Some use "thicker" plastic, but its still pretty cheap. It probably feels cheaper just because the plastic is not as thick maybe as other mice. But generally it does feel like their build quality has gotten cheaper. I had their Proteus mouse before which this is very similar to and I felt it was pretty cheap in many aspects. I ended up not likely it that much and gave it to a friend. I ended up with the Corsair M65 because it still had solid construction under the plastic exterior. 2) Yes, there has been a trend for mice to get lighter. There are some good reasons for this. A lot of competitive gamers seem to prefer the light mice. This is a result of them wanting better control of their mouse, some of them more "carry" their mouse than "slide" it. So the lighter the mouse the easier it is for them to maneuver that way. Personally I like weighted mice more as I slide them rather than carry them. I also like to rest my hand on the mouse rather than use a claw-like grip. 3) I think this is mostly an unneeded expense. Unless you are spending ultra long sessions with the mouse and it isn't close enough to plug in the USB, I don't see the need for the mat. 4) I am not sure what you did to "calibrate" the desk surface...but that sort of feels like snake oil? As long as you have a decent smooth surface it should be fine. And if you use the carry method, the surface doesn't matter 'quite' as much, which is why I think some competitive gamers prefer that style. 5) The scroll wheels for Logitech have been notoriously bad for years now. I have been pretty lucky with my various Logitech mice, but you can definitely see a significant amount of people having issues with the scroll wheel. I think it has a lot to do with their implementation of it. Hopefully this works out for you, personally I haven't been happy with Logitech mice the last few years. I was quite happy switching over to Corsair, mostly because I think their price/performance ratio is far better. But their wireless category is limited. Their Harpoon mouse is supposed to be pretty good especially for the price (although I think it is also very lightweight). Might be something to look at if the Logitech doesn't cut it for you. Logitech has nothing on their mice of ten years ago sadly. I would agree, I still have a Logitech G5 that I keep in my carrying case. It has been going strong for a long time now with no issues. I do prefer my M65 now, but the G5 is still rock solid. Yeah G5 is tougher than the rebooted G500S I had indeed and feels much more solid but I drowned it lol so can't blame 'em there. 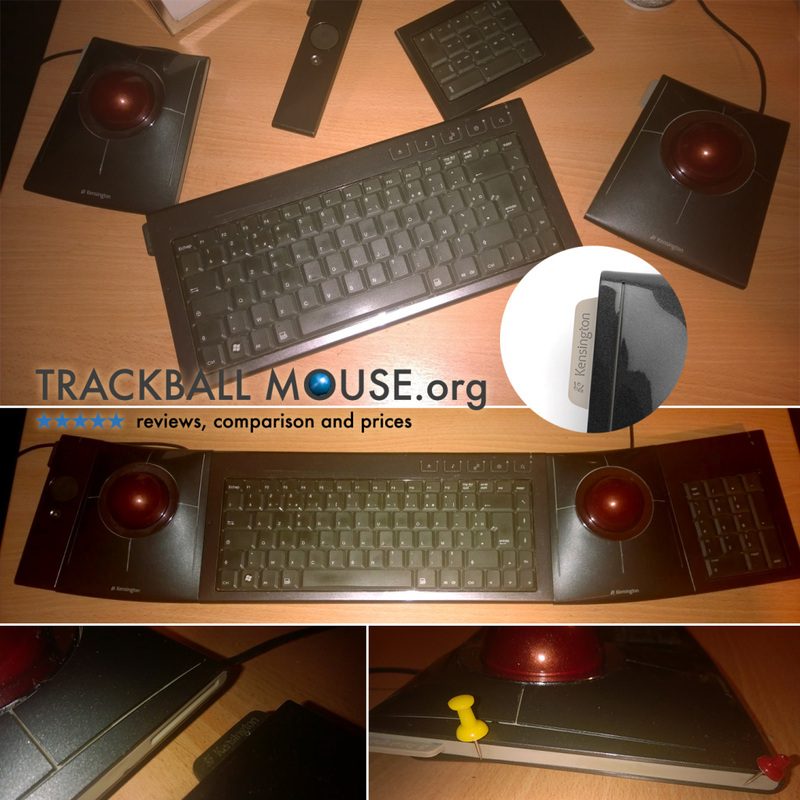 I am also still rocking a Microsoft Trackball Explorer... I bought a few of them right before they stopped selling them. Sadly I left some at previous companies. Ohhh man some of those old trackballs actually can go for decent money. Ran across more than a few people craving them... it's funny how sometimes people don't realise how perfect a design was until it's gone. I also tried to track down the Kensington Blade KB/mouse setup. I wanted the KB because it plugs straight into their slimblade trackball and has a volume/control remote thingy and you can modularly clip it (and a separate numpad) wherever, e.g. 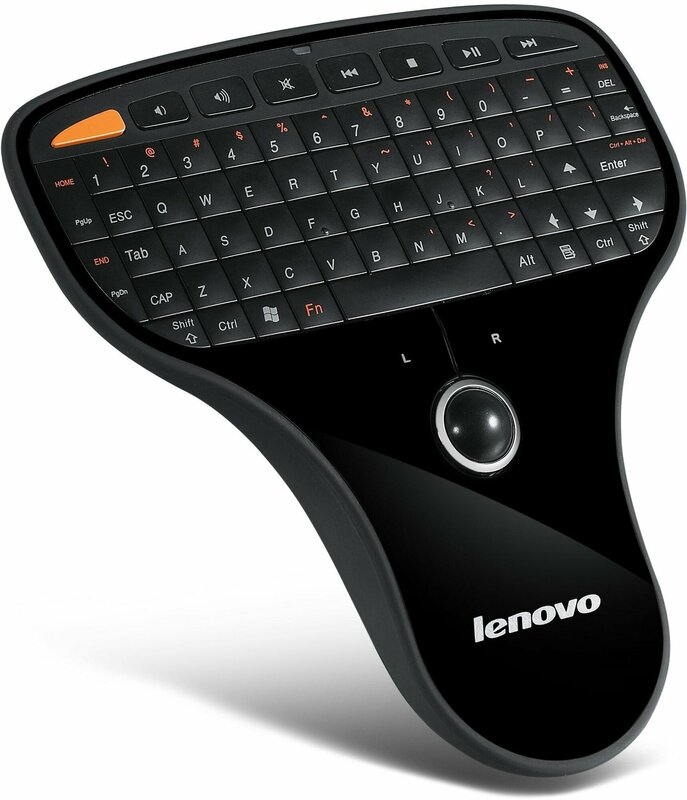 you can place the slimblades on either end, or between the num pad, with volume tacked on the end etc... they have no plans to reproduce it and the only one NOS available in the world (trust me, I looked) is just the KB without the numpad... ffs. Apparently this is now a trackball thread, sorry OP. NoOther and Ocellaris like this. The app has an option to calibrate the surface you're using the mouse on. It makes you do figures of eight with the mouse for a minute at a predefined speed. And then it says the surface is successfully calibrated and saves the parameters to a profile. I don't know what is the carry method. I think it's a very good mouse, my accuracy is noticeably better with it. What I dislike about it is that the side buttons are too deep recessed. And it has no automatic sleep mode. Yesterday I left it on and it drained almost the entire battery while idle. It should go to a low power state when not moved for a longer period. Every wireless mouse I used before did that. And I couldn't find such an option in the app either. I think trackballs are horrible, especially the old ones. But I do use one for controlling devices in the field. It's much better than a touchpad I give it that. WTF It doesn't sleep!? Wasn't on a rough surface and constantly inputting or 'tracking'? That's utterly absurd if so.. Didn't know that was a thing... looks like it would be great for a portable android rig.. The leds turned off, so it kind of slept, but the sensor was fully awake. In about 20 hours it drained from about 60%? to 10% by just being idle. Other mice I used needed a strong tuck after extended period of disuse or only turned on by pressing a button, but this one was fully aware and immediately responded to movement when I started using it the next day. It is great, it is so great in fact that I purchased 3 of them in case they take it off the market back in 2014. And in fact it is no longer available new to purchase. I should have purchased 5, I only have one spare left. I couldn't bring myself to go with any new Logitech mouse since my aging G9x started to show it's age. I went with a HyperX Pulsefire FPS Pro and am happy with it so far. I think some of these newer mice are going to transformer looking for my taste, but I might just be showing my age.. I have both G9xx mice and it only works on the newest one. Is the powerply charging pad compatible with the G900 Chaos Spectrum Mouse? I have a trio of 900s (work, home, travel) and all of them sleep just fine. I'm guessing there is some quirk about his surface which makes the mouse think it's moving when it isn't. The 900 and 903 definitely sleep, but they don't until there's like 5 minutes of inactivity instead of the typical 30 seconds or so most mice do. Also you should really just turn it off.